how does god want to be described? | Have You Accepted Cheeses As Your Personal Flavor? I don’t know about you, but when I read this quote I hear the author saying that the sovereignty of God is the defining characteristic of God. And that doesn’t seem right to me. Make no mistake, I certainly believe God is sovereign. Bible.org defines the sovereignty of God as “to possess supreme power and authority so that one is in complete control and can accomplish whatever he pleases.” Scripture is really clear on this. There isn’t anyone or anything that is more powerful than God. He can do what He wants, when He wants and how He wants. But why do so many hold up sovereignty as the ultimate characteristic of God? If God were to describe Himself to us would He choose His sovereignty as His defining quality? I don’t think so. Why do I make that assertion? Because God has already described Himself to us through the life of Jesus. Colossians 2:9 says, “For in Christ lives all the fullness of God in a human body.” In John 14:8-9, Phillip asks Jesus to show them the Father. Jesus responds, “Have I been with you all this time, Philip, and yet you still don’t know who I am? Anyone who has seen me has seen the Father! So why are you asking me to show him to you?” Hebrews 1:3 says Jesus “is the perfect imprint and very image of [God’s] nature” (AMP). I like to think of Jesus as “God in context.” Take all the eternal, indescribable, limitless attributes of God, condense them and place them in our earthly, temporal context of time, space, and humanity and you get Jesus. If you want to know what to believe about God, simply look at Jesus – He is the most clear, concise depiction of God that we can possibly get. As Bill Johnson puts it, Jesus is perfect theology. Study the life of Jesus and then ask yourself what He wants us to know about Him. How does He want to be described? To me, a thorough reading of (or even a passing swipe at) the New Testament yields that God’s ultimate characteristic is love. Consider His teachings, His healings, how He dealt with sin, how He dealt with sinners, and how He dealt with the religious people who had no love. Did Jesus conduct himself in such a way that humanity would see Him as sovereign? Or did he do things so we would see Him as the Embodiment of love? If the answer is love (which I believe it is), why are we so concerned with a trait of God that He himself doesn’t seem so concerned with? Maybe we have it all wrong. Maybe its not His sovereignty that makes Him God (like the quote above implies). Maybe it is our man-made thinking that regards sovereignty, absolute power and an unchangeable nature as evidence of divinity. Perhaps its His love that makes Him God instead, for as 1 John 4:16 so straightforwardly says, “God is love.” Could we be proclaiming God’s divinity based on the wrong criteria? Might we be conferring upon God the title He’s due for the wrong reasons? When it comes to God, I fear we might be emphasizing what we want instead of what He wants. I wear many hats and enjoy many different things. I work as a software consultant, I’m a Christian, I’m an Alabama football fan, I’m a husband, I’m a musician, I’m a father and I like licorice jelly beans. These are just some of the traits that make me who I am. But it would be unfair to me (and rather annoying) if I had a friend who was always referring to me as Jamie, the Alabama football fan and represented me solely in that way to everyone else. That’s not the full picture of who I am, especially since its not one of the qualities I feel really sums up the essence of who I am. I do, in fact, love Bama football but I don’t want to be defined by it. I’d rather be defined by my love for Jesus and my family. If you have to know one thing about me, know that I love God, my wife and my kids. So it is with God. You may feel comforted with the knowledge that He is all-knowing, powerful and autonomous. And although He definitely is those things, I don’t believe those are what He considers to be His defining characteristics. Lets make a big deal out of what God thinks is a big deal. Lets honor Him by making a point to portray Him in the way He wants to be portrayed. 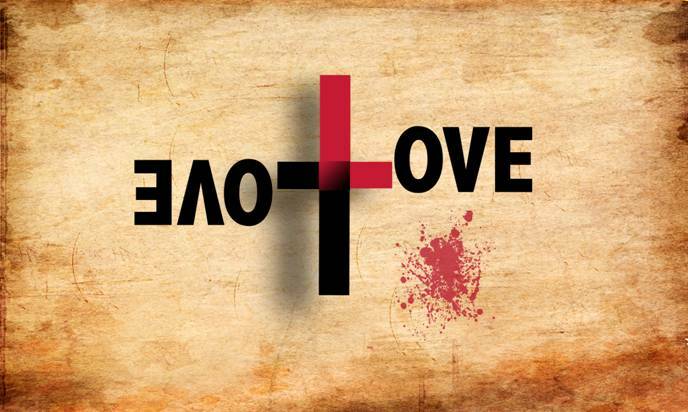 As I see it, God is love. He wanted us to know that so badly that He came in the form of a man – Jesus – and demonstrated it to us.